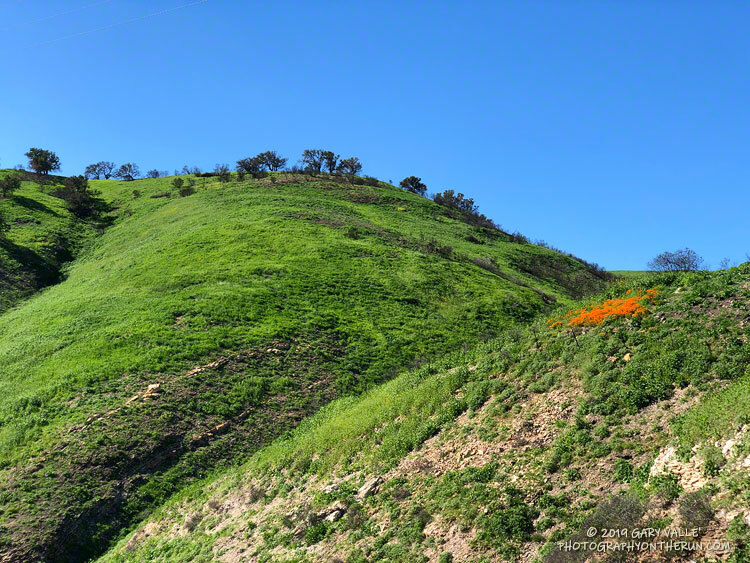 California poppies in upper Las Virgenes Canyon at the Cheeseboro connector. February 20, 2019. Warrior's plume along the Cheeseboro Canyon Trail below Shepherd's Flat. March 1, 2019. Black mustard growing along an Ahmanson trail. 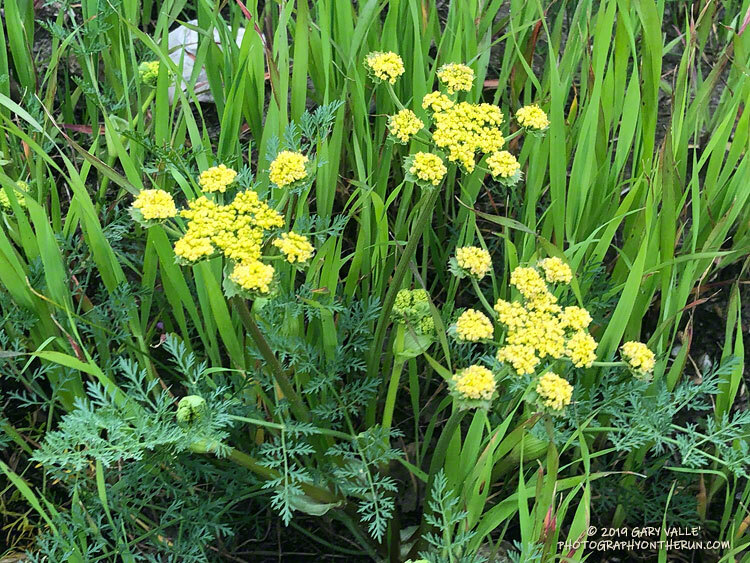 Black mustard is an introduced plant that competes with and can displace other plants. When it dries it becomes a fire hazard. February 28, 2019. 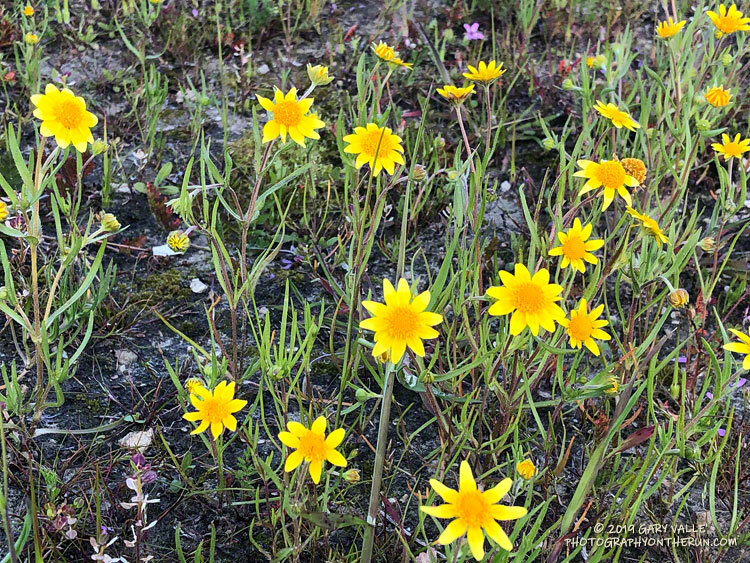 First goldfields blooming on Lasky Mesa. February 28, 2019. 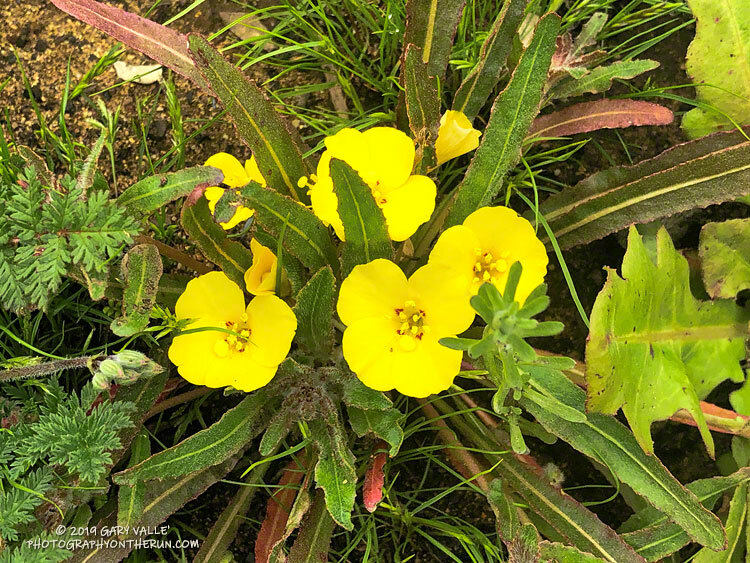 California sun cups along the Sheep Corral Trail. March 1, 2019. 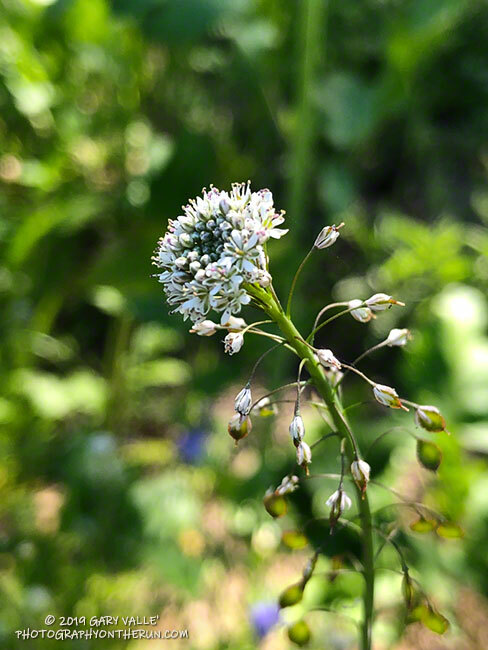 Wild cucumber along the Sheep Corral Trail. March 1, 2019. Hog fennel along the Cheeseboro Canyon Trail. March 1, 2019. 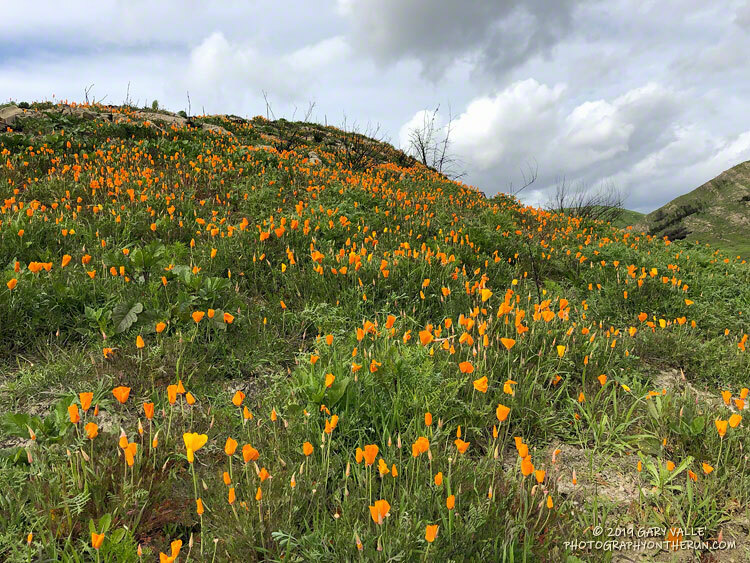 Native plants, such as this patch of poppies have to compete with introduced species. 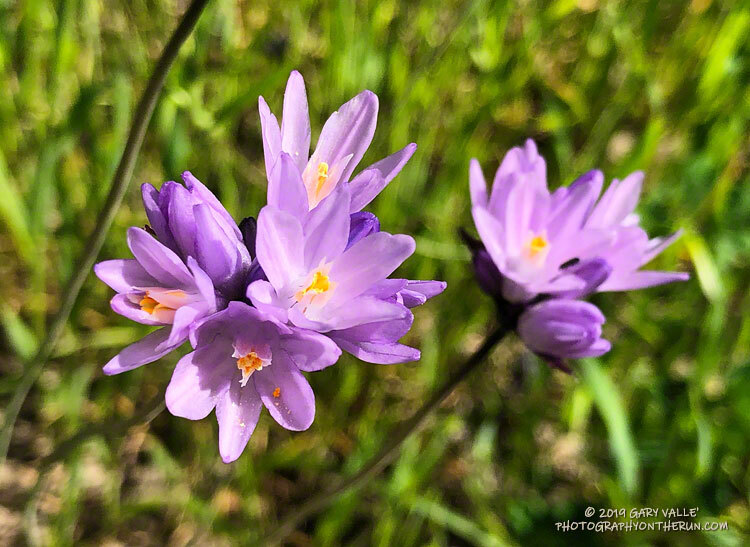 Blue dicks (Dichelostemma capitatum) on the road from East Las Virgenes Canyon to Lasky Mesa. March 18, 2019. 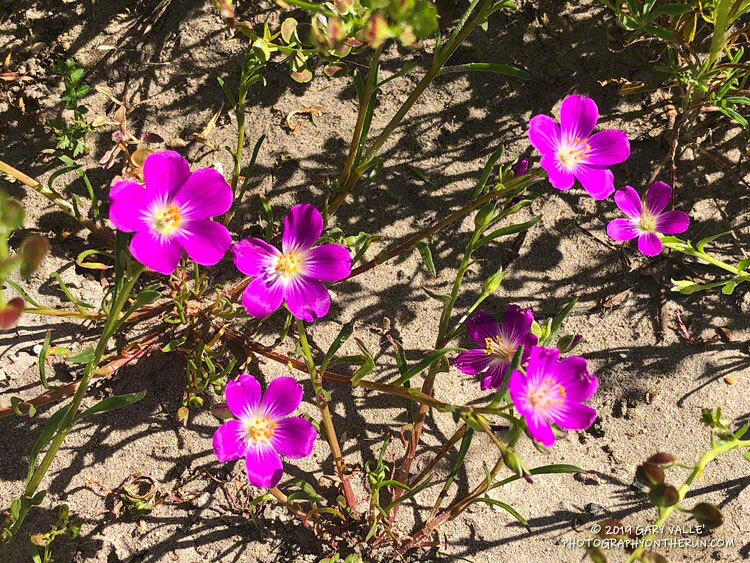 Red maids along the Mary Wiesbrock Loop Trail on the south side of Lasky Mesa. March 18, 2019. Goldfields on Lasky Mesa. March 18, 2019. Lupine - probably arroyo lupine - along the power line service road that connects Las Virgenes Canyon to Cheeseboro Ridge. 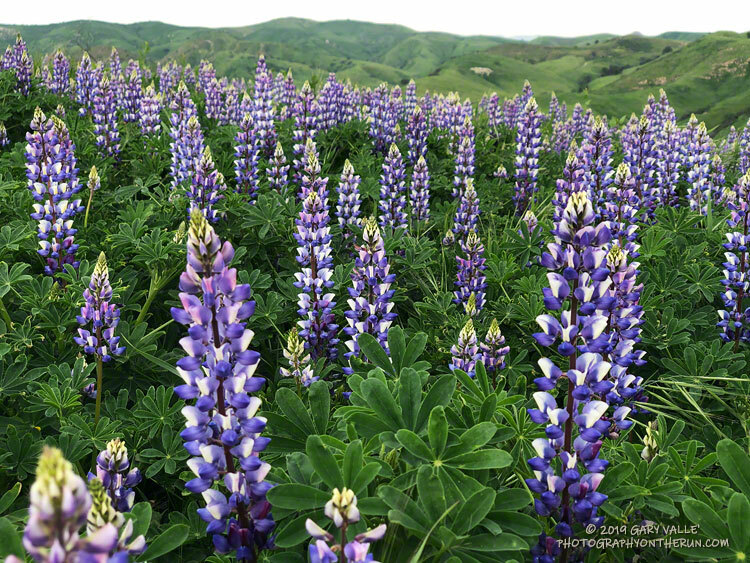 Lupines exhibit considerable variability and there are many similarities between species. March 19, 2019. 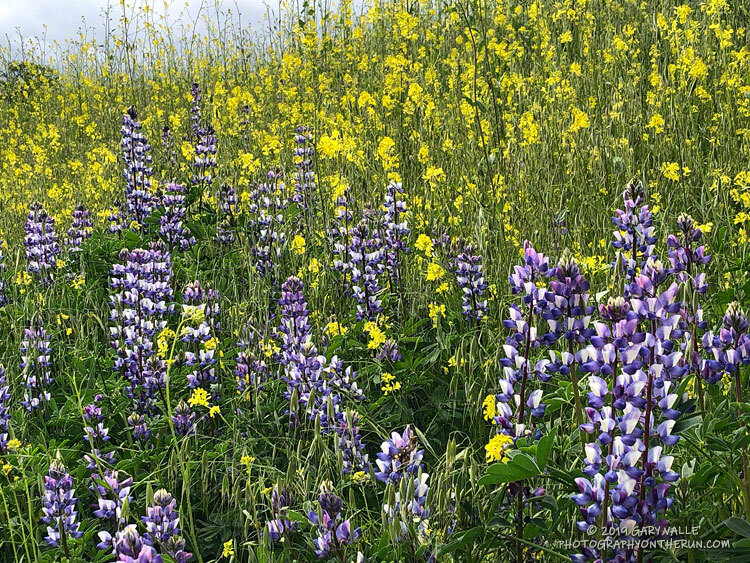 Lupine, nearly overgrown by introduced grasses and black mustard, along East Las Virgenes Canyon Road. 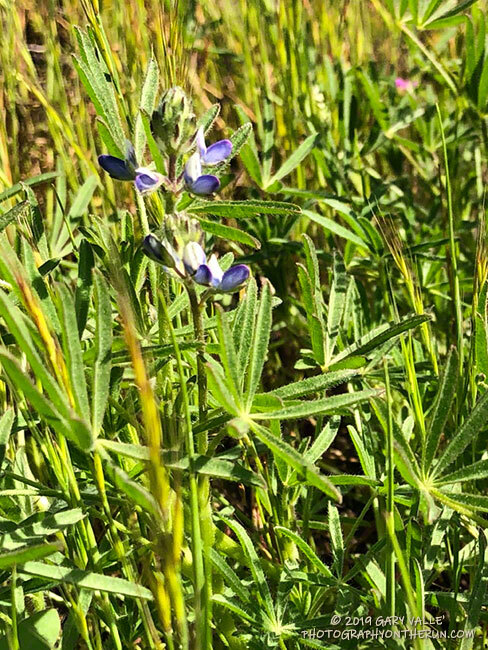 This is probably arroyo lupine. April 3, 2019. 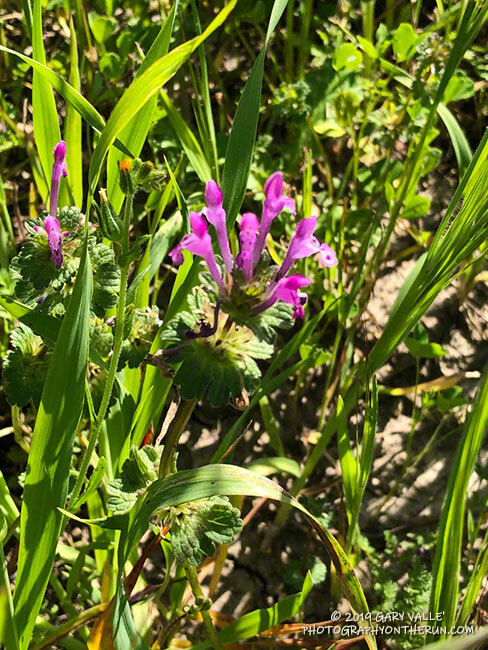 Henbit, an introduced plant, in East Las Virgenes Canyon. March 26, 2019. 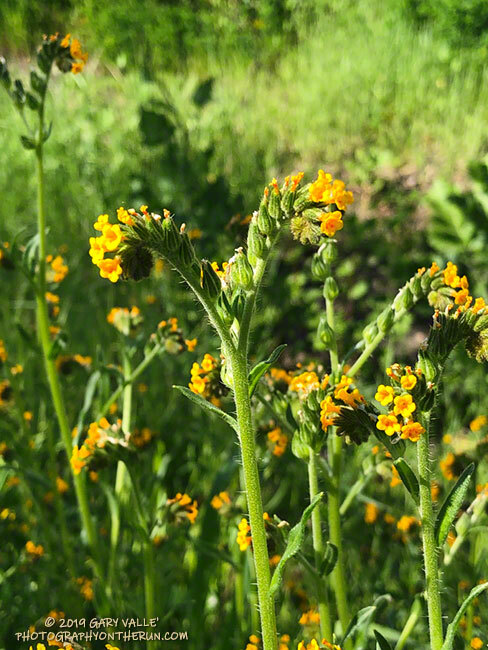 Fiddleneck in East Las Virgenes Canyon. March 26, 2019. Miniature lupine on Lasky Mesa. 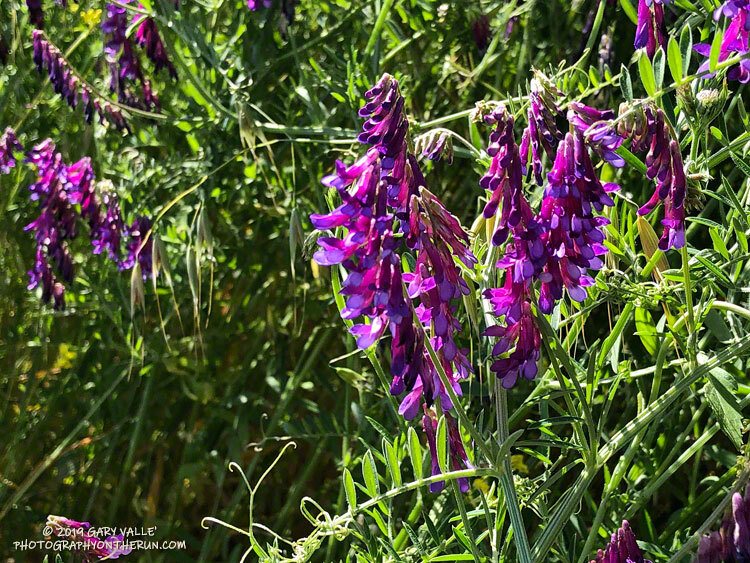 This small lupine is often intermixed with goldfields. March 26, 2019. 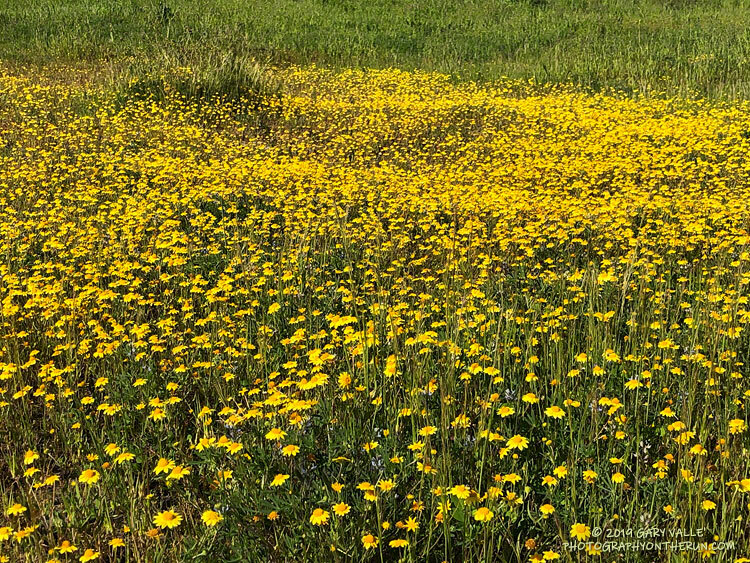 A patch of goldfields on Lasky Mesa. March 26, 2019. Blue fiesta flower along the fire road between Las Virgenes Canyon and Cheeseboro Canyon. March 27, 2019. Lacepod along the fire road between Las Virgenes Canyon and Cheeseboro Canyon. March 27, 2019. 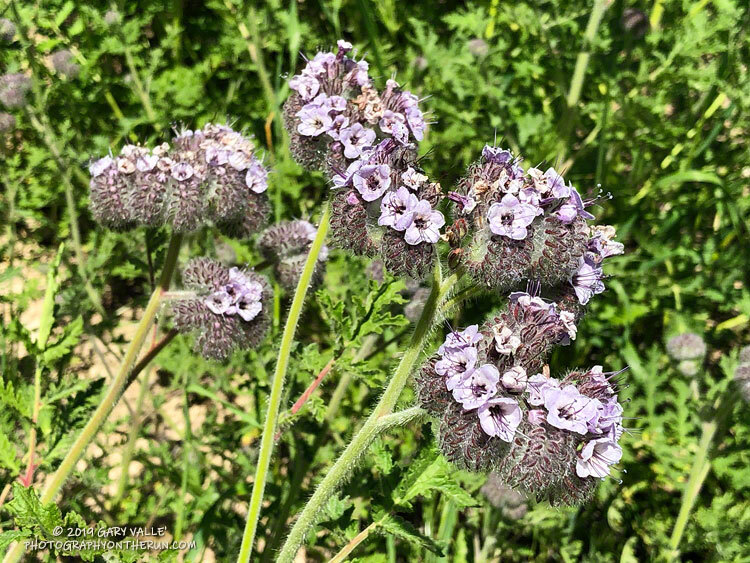 Hubby's Phacelia along the connector between Las Virgenes Canyon and Cheeseboro Canyon. March 27, 2019. 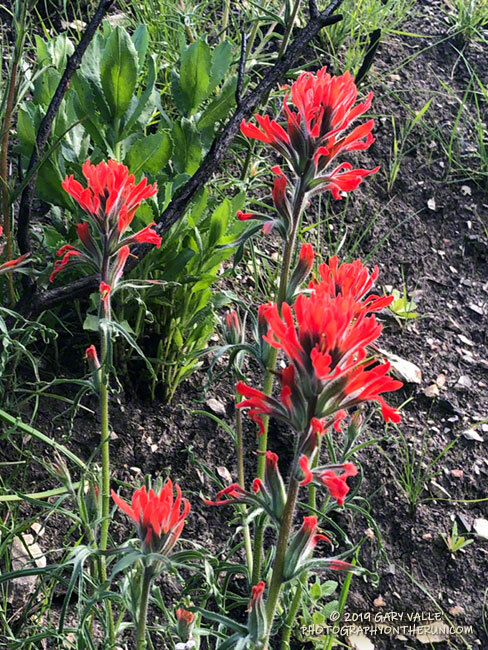 Paintbrush along the connector between Las Virgenes Canyon and Cheeseboro Canyon. March 27, 2019. 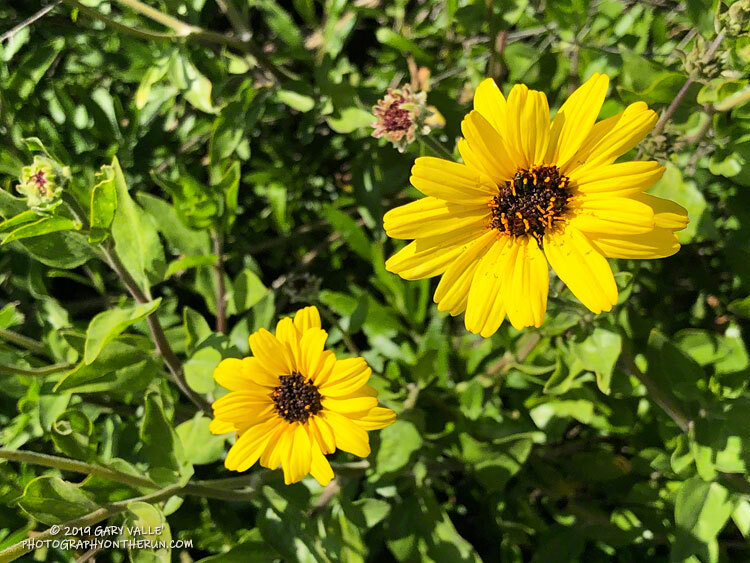 Encelia, also known as bush sunflower, along the pipeline service road that connects west Lasky Mesa to East Las Virgenes Canyon. March 28, 2019. 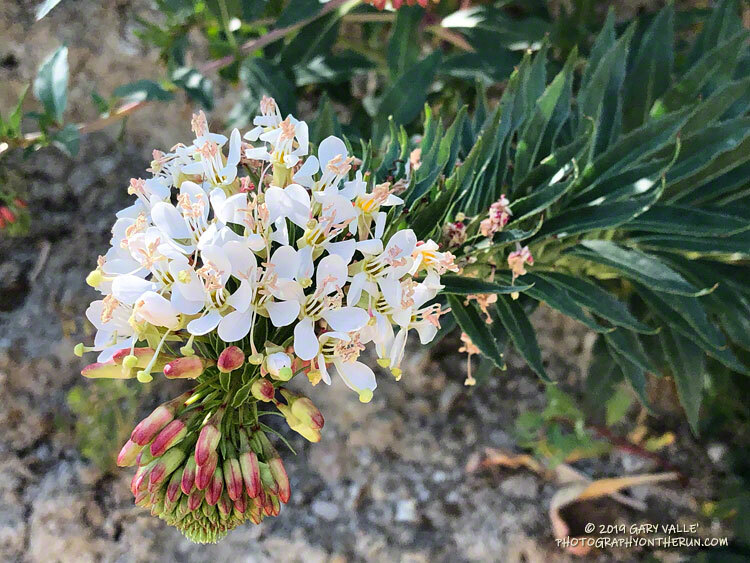 Red-stem filaree in East Las Virgenes Canyon. 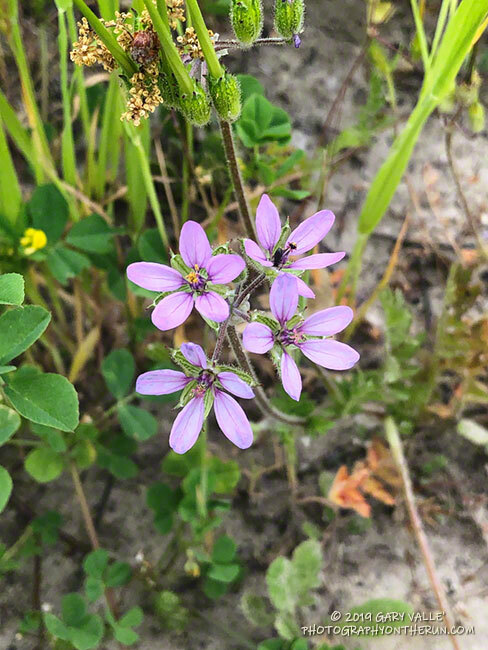 Also known as storkbill, the introduced plant is common throughout the area. 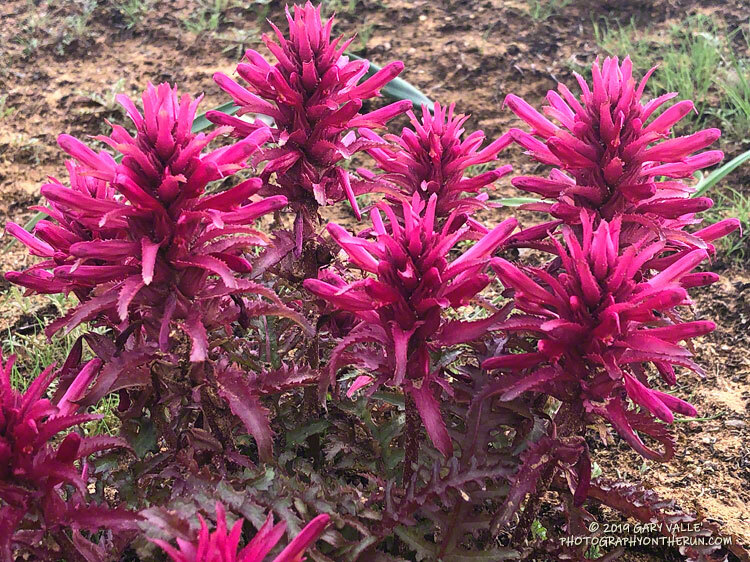 April 4, 2019. 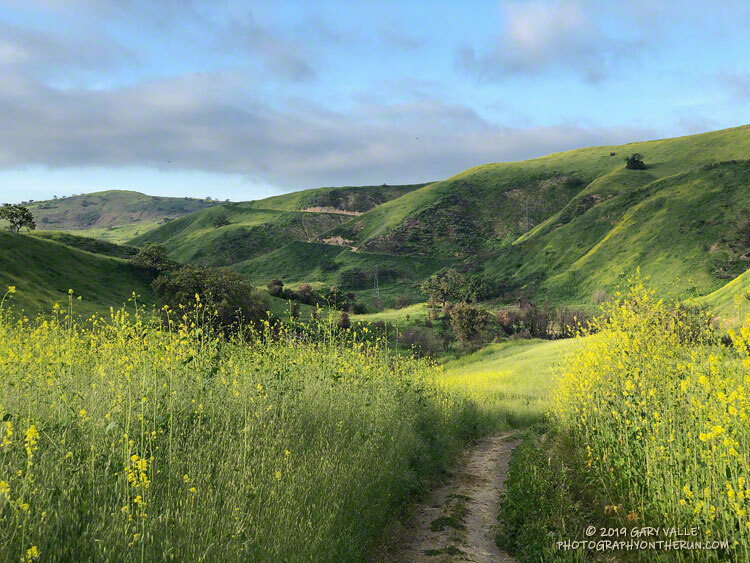 Yellow sweet clover in East Las Virgenes Canyon. 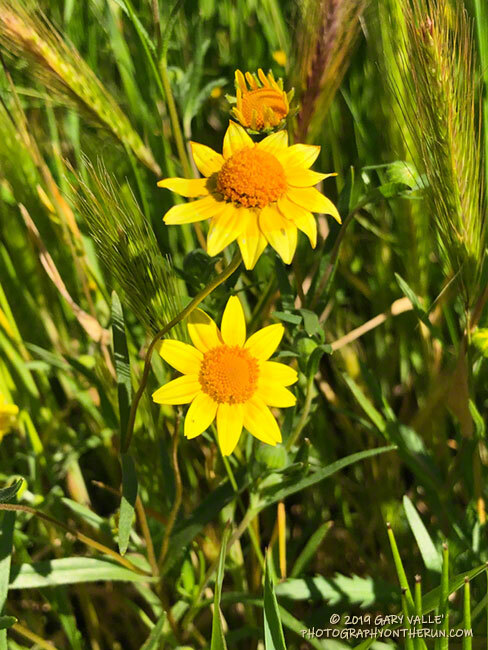 Another common introduced plant. April 4, 2019. 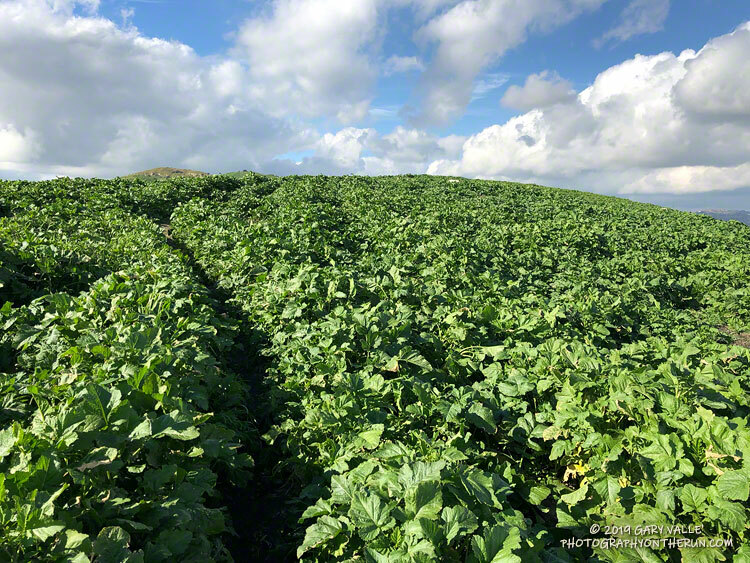 Whether there has been a fire or not, black mustard grows profusely following wet rain seasons. This year some stalks are more than 12 feet tall. 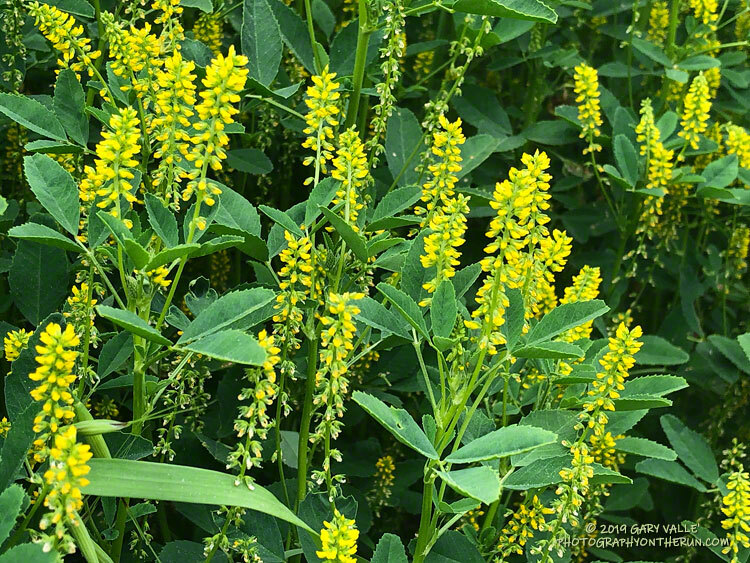 Black mustard is an introduced plant that becomes a significant fire hazard when it dries. April 10, 2019. 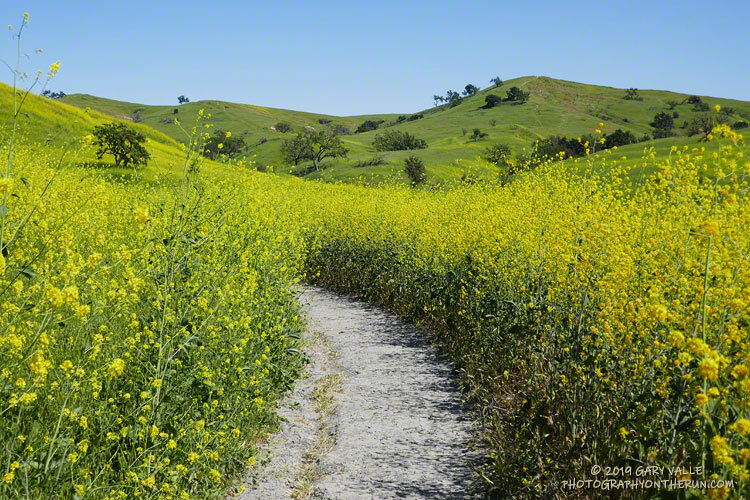 Black mustard, a problematic introduced plant, along East Las Virgenes Canyon Road, just east of Las Virgenes Canyon. 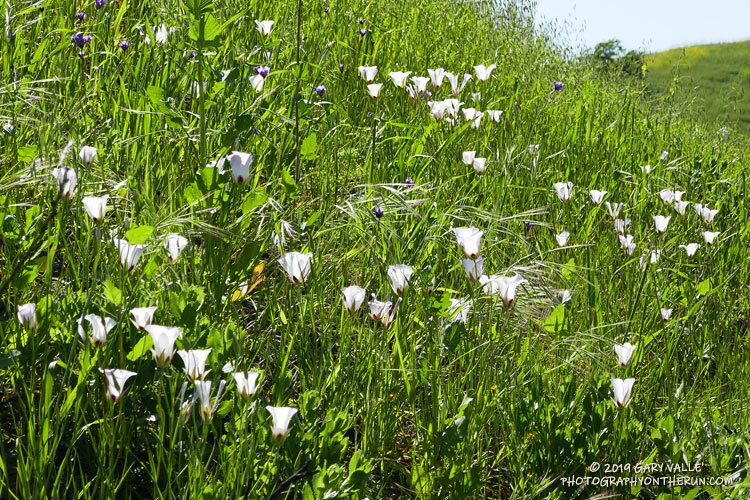 Catalina mariposa lily along East Las Virgenes Canyon Road. April 10, 2019. 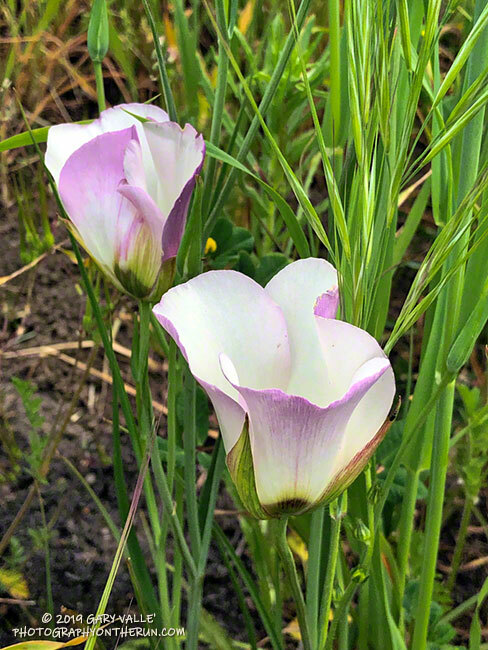 Closer look at Catalina mariposa lily. April 2, 2019. 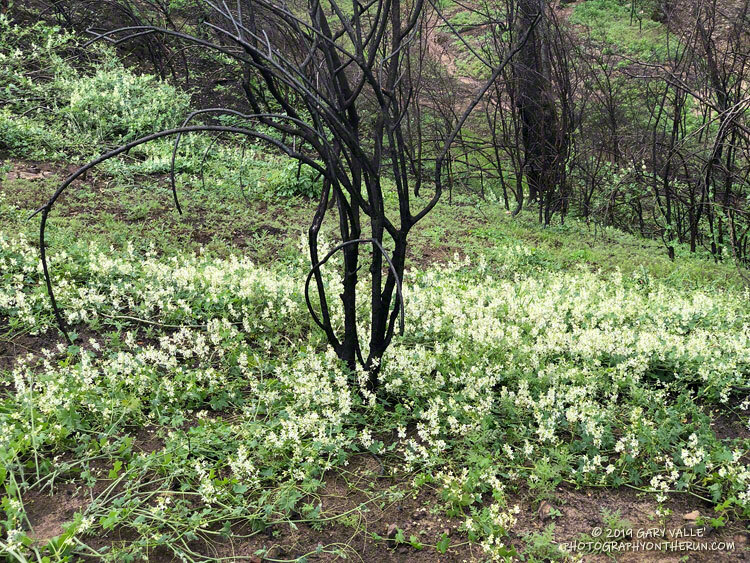 WInter vetch, an introduced plant, along East Las Virgenes Canyon fire road. April 16, 2019. 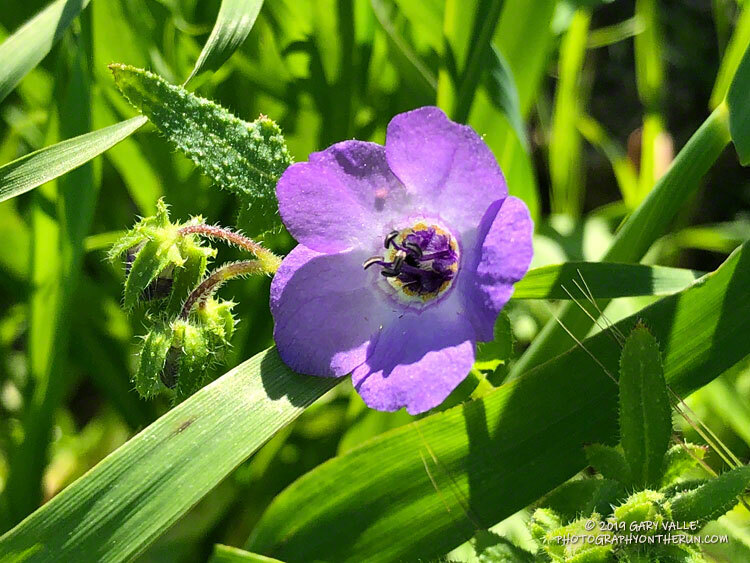 Shredding primrose (Eremothera boothii ssp. decorticans) along the SCE service road that connects Las Virgenes Canyon trailhead to Cheeseboro Ridge. April 16, 2019. Was observed here prior to the Woolsey Fire. 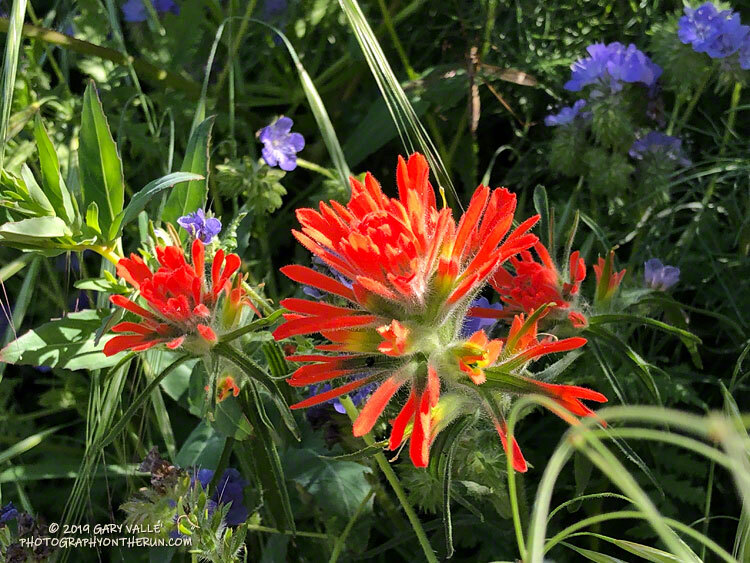 Paintbrush and Phacelia along the SCE service road that connects Las Virgenes Canyon trailhead to Cheeseboro Ridge. April 16, 2019. 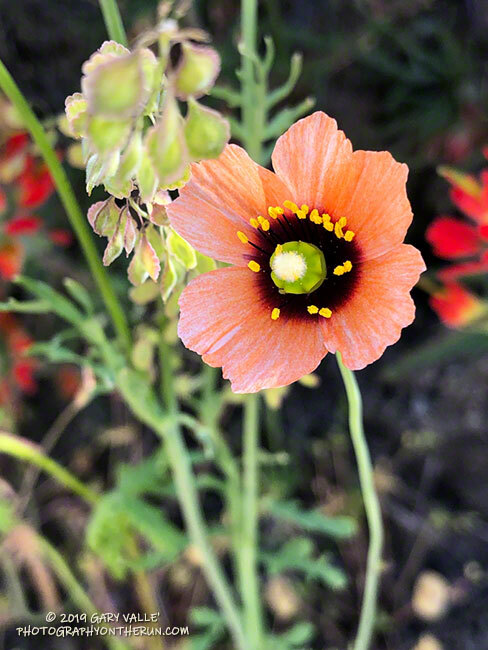 Uncommon and easily overlooked, the diminutive wind poppy is uniquely colorful. April 16, 2019.